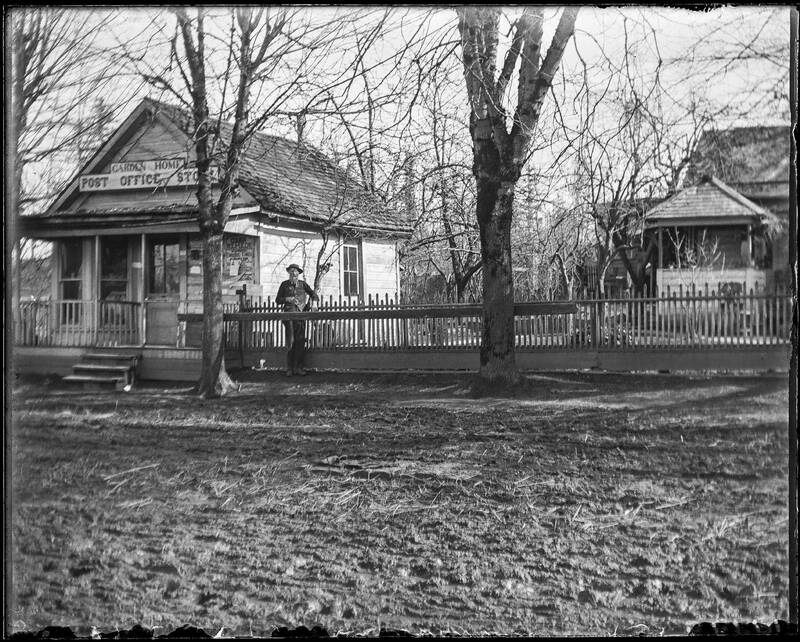 The Garden Home Post Office and Store in about 1890. This building is believed to have stood on the southeast corner of what were then called Nicholl and Rex streets. The streets are now known as Garden Home Road and Oleson Road. Lumen H. Nichols, the postmaster and store owner, stands in front, near a rail for tying up horses. According to the book "Oregon Post Offices, 1847-1982" (Helbock, 1983), the Garden Home Post Office was first established March 6, 1882. It was discontinued or had a change of designation in 1904, before being reestablished in 1912.